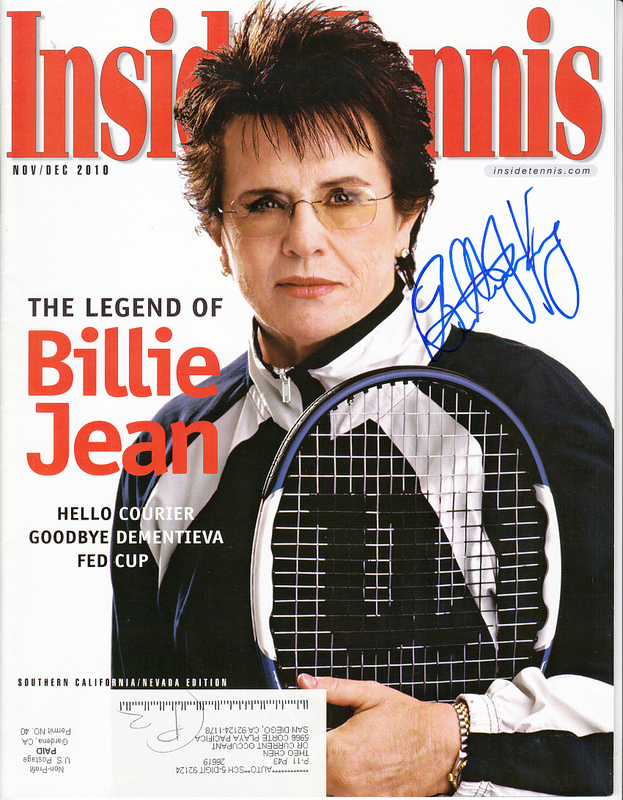 Complete Nov/Dec 2010 issue of Inside Tennis magazine autographed on the cover in thin blue marker by legendary superstar Billie Jean King. Has subscription address and light writing next to the address. Obtained in person, with certificate of authenticity from AutographsForSale.com. ONLY ONE AVAILABLE FOR SALE.